Essential revision notes for MRCP latest 4th edition. Professor Kalra’s unique and longstanding bestseller has been comprehensively updated and revised to reflect recent exam changes. With each chapter authored by renowned experts in their respective specialties and with key information displayed in a concise and structured format, this book remains the definitive guide to the MRCP written examinations. The latest edition of this best-selling title has been updated and revised in accordance with every major subject in the MRCP syllabus. If you are preparing for the MRCP written exams, this book is an essential and indispensable aid for success. 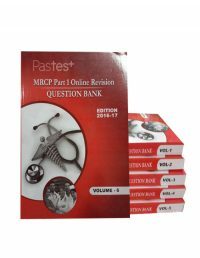 Pastest Essential Revision Notes for MRCP 4th Edition. Professor Kalra’s unique and longstanding bestseller has been comprehensively updated and revised to reflect recent exam changes. With each chapter authored by renowned experts in their respective specialties and with key information displayed in a concise and structured format, this book remains the definitive guide to the MRCP written examinations.